Phantom Corps is a group of rebellious specialists who can join the Red or Blue Team today and then challenge them tomorrow. 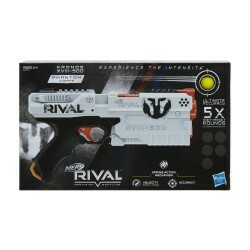 The Nerf Rival competitions will never be the same! Hit targets with the high-capacity launcher Nerf Rival Hades XVIII-6000! 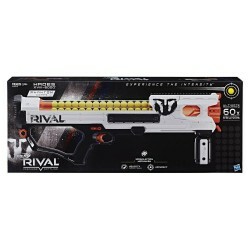 Insert 60 foam rubber projectiles into the integrated easy recharger, prepare the launcher with the spring mechanism and pull the trigger to launch a burst of projectiles at 30 meters per second! 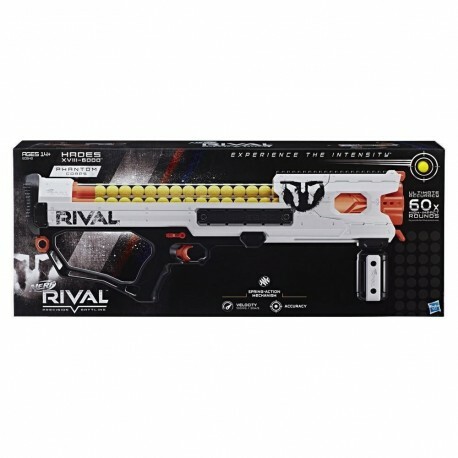 This Nerf Rival launcher comes with a red and blue flag so that players identify themselves as members of the Red and Blue Teams and also play to capture the flag. 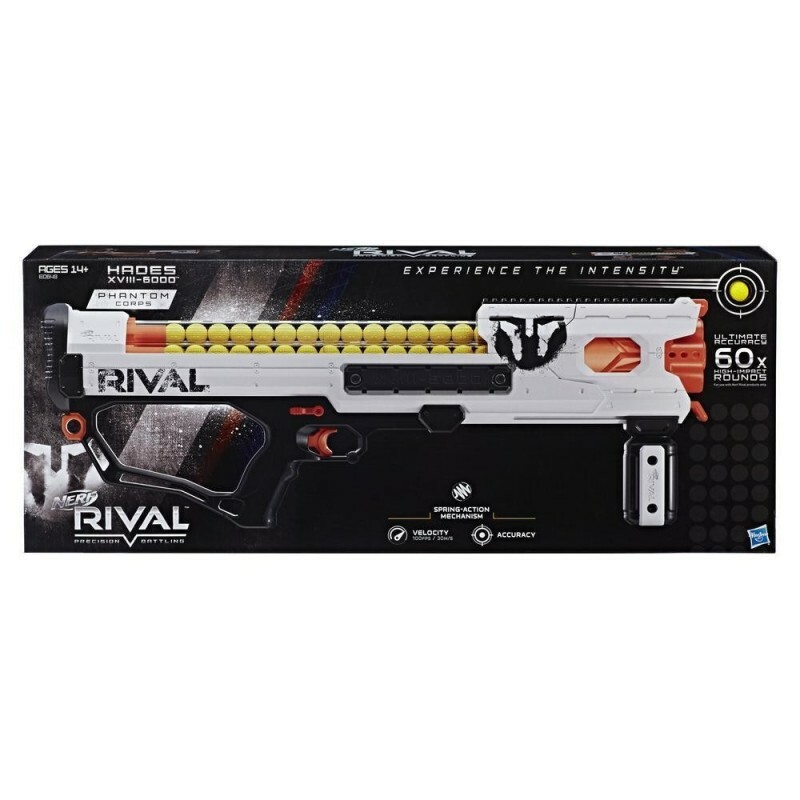 The Nerf Rival Hades XVIII-6000 launcher also has a trigger lock and tactical rail, and comes with 60 foam rubber projectiles. 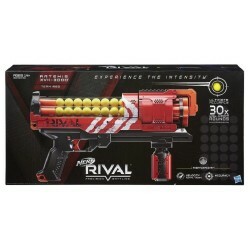 • Includes launcher, 60 foam rubber projectiles, 2 flags and instructions. 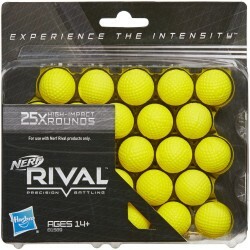 • Use only with Nerf Rival products.